Alexander Vareiko is a medical freelance translator from English into Russian and Belarusian and vice versa for more than 5 years. The customers satisfaction and many positive feedbacks are the main evidence of his high quality service. Such a result is possible due to attention to details during the project, hard work, strict adherence to deadlines and maintaining contact with the customer throughout the entire project. Why does he precisely specialise in medical translation and linguistic services? The case is that Alexander has two educations: medical and linguistic. After graduating from medical university,he worked as a doctor for a while, and last 5 years, works as a full-time medical translator. During all this time he personally translates 2 500 – 3 000 words everyday, more than 500k words per year, plus much more due to effective project management. He edits 1000 words per hour. Leading pharmaceutical companies such as Pfizer, MSD, GSK, Abbott, Janssen. CROs such as Icon plc, Parexel etc. Medical equipment and orthopedic companies: Medtronic, Ortopedica etc. Small private research companies and institutes. Private and public hospitals and organizations. Translation agencies, such as TransPerfect, MGSL Group, Oxford Outcomes etc. As mentioned above, high-quality translation with knowledge of the subject is the result of the fact that Alexander has 2 educations. From 2000 to 2006 he studied at the Belarusian State Medical University, graduated it with Diploma in General Medicine. There he also received an additional degree in linguistics, as a medical translator from English into Russian. Alexander has high performance and ability to work on weekends. He works with such CAT-tools as Trados, memoQ, Wordfast etc. and can master any CAT-tool which is needed to customer in 30 min. He is pretty sociable and can work in a team. Alexander collaborates with many freelance professionals, many of them are in the Top 100 professionals at proz.com in medical field of expertise. 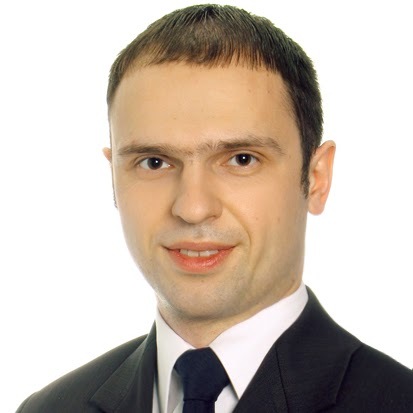 To know more about Alexander Vareiko, please, see other pages of the site, CV or visit his ProZ profile.